Torry is VP, Video Franchising & Legal Affairs for CenturyLink. Torry has a strong background in telecommunications, regulatory compliance, contract negotiation/enforcement, administrative law and litigation. CenturyLink is the third largest telecommunications company in the United States and is recognized as a leader in the network services market by technology industry analyst firms. Torry is married to Wendy and has two teenage daughters. Torry has served on the board since 2007. 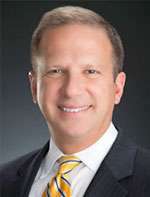 Todd Sklamberg has served as the Chief Executive Officer of Sunrise Hospital and Medical Center and Sunrise Children’s Hospital, a 690-bed hospital that is part of the Sunrise Health System in Las Vegas since June 2012. Prior to that, Todd served as the Chief Operating Officer of Sunrise Children’s Hospital since early 2008. He is a 20-year veteran of the healthcare industry. Prior to joining Sunrise Children’s Hospital, he served as Vice President of Strategic Operations and Facilities for St. Louis Children’s Hospital. For the past five years, Sklamberg has served the Las Vegas community on the Board of Trustees for the Ronald McDonald House Charities® and March of Dimes. 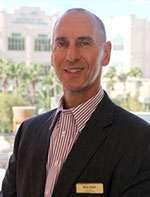 Todd currently serves on the Executive Committee of the Nevada Hospital Association, and serves on the Council for Better Nevada, Las Vegas Global Economic Alliance, Keep Our Doctors In Nevada (KODIN), American Cancer Society CEOs Against Cancer, as well as the Government Affairs Committee of the Las Vegas Metro Chamber of Commerce. Todd holds a Master of Business Administration degree from the Olin School of Business at Washington University in St. Louis, Mo., and a Bachelor of Arts degree from Hofstra University in Long Island, N.Y. Todd is married with two children. Denise Alderette moved from Phoenix, Arizona, to Las Vegas in 1968 and is a graduate of Valley High School. She has more than 40 years of experience in the banking industry in Las Vegas and recently retired after being Senior Vice President of Nevada State Bank, where she was a Private Bank Relationship Officer. Denise's banking career began in 1972 at the original Valley Bank of Nevada. In 1980 she moved to Pioneer Citizens Bank, which was bought by Zions Bancorporation, which owns Nevada State Bank. Denise has served as VP of Fund Development on the Board of Trustees for Ronald McDonald House Charities of Greater Las Vegas since 2003. She is also a ten-year member of the Las Vegas Chamber of Commerce Business Council and a former Board member of Crime Stoppers of Nevada for more than 30 years. Denise also served as President and Treasurer of Crime Stoppers. Denise has a grown daughter, Jordana, who has two children, Morgan 16 and Sean 11. Heidi Gonzalez is a seasoned sales professional with 15 years experience in outdoor advertising and serves as both General Manager and Vice President of Sales at Vector Media Las Vegas. 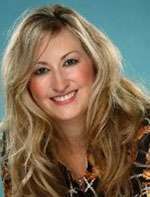 She began her advertising career with Lamar Outdoor Las Vegas, and rose through the ranks from Receptionist to Sales and Production Coordinator to Assistant to the Assistant General Manager/Sales Manager to Account Executive, where she grew into a top 10 Account Executive nationwide. Heidi brought her experience to Vector Media and plays an integral role in building sales revenue in the Las Vegas market and continues to develop her local sales team into a dominant force in the marketplace. Her sales philosophy is to be an educator and business partner to her clients. Throughout her career with Vector, Heidi has served as the liaison with the Regional Transportation Commission of Southern Nevada and meets regularly with RTC officials to update them on the sales efforts and to ensure that Vector Media is providing the best service possible. Heidi moved to Las Vegas in 1998 from her hometown of Kenosha, Wisconsin. She is an active supporter in local community outreach organizations, such as member of the Community Relations Committee for the Ronald McDonald House Charities® of Greater Las Vegas. After-School All-Stars, Goodie Two Shoes, the Rebel Athletic Fund, and while not listening to country music, in client meetings, watching NASCAR, or playing with her dogs, Heidi can be found rooting for the Green Bay Packers. 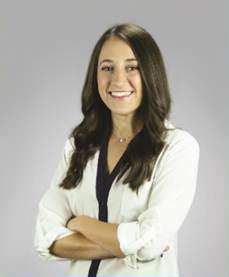 Brianne Soscia is a Certified Financial Planner® with Retirement Benefits Group, one of the country’s leading retirement plan consulting firms. She holds her Series 6, 7, 63, and 66 securities licenses. She has clients in over 15 states across the country, and manages over $50 million dollars in assets. Brianne specializes in working with individuals, families, business owners, and companies, in the areas of investment management, retirement planning, college savings, and asset protection. Brianne and her sister, Christine also manage a variety of company-wide retirement plans in Las Vegas and California, including The Ronald McDonald House® of Greater Las Vegas. She feels very passionate about being an advisor because she believes that she is truly making a difference in people’s lives by educating her clients on attaining financial freedom. She has two daughters, Kaia, 10, and Lily, 3. Her hobbies include yoga, going to the gym, and boating at Lake Mead. Al spent 22 years at Pacific Bell and AT&T in a variety of management positions including several years in Community Affairs working with non-profit organizations in various locations in California. He had a second career at AAA, the Auto Club, as Executive Director for Corporate Quality and ended his career there as a senior consultant for process improvement. Recently Al worked for an extensive period of time as a volunteer at Ronald McDonald House® and was elected to the Board of Trustees. Subsequently he was elected to the Executive Committee as Member at Large and, most recently, as Vice President Operations. In addition to working with RMHC®, Al does consulting with individuals and companies on career and management development and organizational improvement and excellence. He possesses a Bachelor of Arts degree with a major in History and minors in the Humanities and Language Arts, as well as a Master of Arts in Educational Systems Management, and a Ph.D. in Psychology. Al has been married for 32 years and has two children and one grandchild. Angelica Silveyra is a graduate of the University of Nevada Las Vegas where she earned a Bachelor's Degree in Communications and a minor in Spanish. She has been working for NV Energy for 20 years. She is currently Manager in Customer Contact Operations. Angie has been married to her husband, Abel, for 17 years. They have two children, Brandon, 12, and Matthew, 10. When Angie is not spending time with her family, she is assisting her community. She enjoys volunteering at the Boys and Girls Club of Las Vegas. She also enjoys helping children pick out new shoes at the Goodie Two Shoes events. Angie is a career-long supporter of United Way, donating financially and personally assisting in various events. 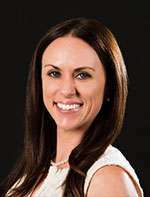 She is currently serving her second year on the Board for Ronald McDonald House Charities® of Greater Las Vegas, where she actively serves on the Development and annual Gala Committees. Angie was honored with the 40 under 40 award in 2010 and was featured in the Inaugural Edition of Las Vegas Latino Leaders in 2012. 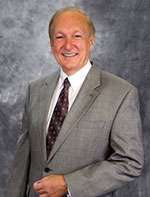 Lyn Twitchell is a native of Henderson, Nevada and has spent the majority of his life and career in Southern Nevada. A father of four and grandfather of nine, family, church and community are his highest priorities. He enjoys hiking, camping, fishing and gardening, especially when doing it with family and friends. Lyn is the Managing Director and owner of the Henderson, Nevada franchise of Supporting Strategies. Supporting Strategies is a national company with more than 50 offices throughout the country and has provided efficient and effective bookkeeping and operational services to growing businesses since 2004. Supporting Strategies was founded with one goal in mind: give clients the support they need, when they need it, at a price they can afford. In short, they are good people using good systems to make small business more successful. Lyn graduated from UNLV with a degree in Accounting and is a Nevada CPA. Following graduation from UNLV, he has accumulated more than 20 years of accounting, finance, audit and management experience. 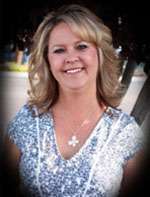 Lyn has served as a controller or director of finance for several hotels and casinos in the Las Vegas area. He first learned of The Ronald McDonald House concept while working as an assistant manager for the McDonalds Corporation early in his career and is thrilled with the opportunity to be associated with this great organization. Eva Martin was born in Metropolis, Illinois. She grew up in Chicago where she attended Hyde Park High School, Chicago State Teachers College, and graduated with a degree in business from Olive-Harvey College. Eva's diverse career path spans a variety of sectors, including education, insurance, manufacturing and service. She began her career as a substitute teacher in the Chicago Public Schools, then became the owner of three dry-cleaning businesses, which she operated with her husband, Jim Martin, for fifteen years. They purchased their first McDonald's franchise in Chicago in 1988 and later moved to Las Vegas, where she now owns and operates three McDonald's restaurants with annual sales in excess of ten million dollars. Eva is actively involved in the community and is a strong advocate for business and professional development. Eva provides visionary leadership as a Board member with the Summerlin Women's Club, the March of Dimes, the National Black McDonald's Owners Association; the McDonald's Women Operators Network, and Ronald McDonald House Charities of Greater Las Vegas. Eva is committed to young people and ensuring a positive future. She is a member of the Future Achievers Scholarship Committee and in 2005 established a foundation in memory of her husband that provides scholarships and partners with local schools to offer youth enrichment programs. Eva has one daughter, attorney Roberta Martin who has recently joined her in the business. She enjoys spending time with family, as well as mother-daughter travel. Jason Salmonson currently serves as Assistant Vice President of Operations, for AH4R Services. He oversees the In-House Services and Maintenance for the nationwide portfolio of 52k homes. Jason has 15 years of experience in Operations Management, Business Process Improvement, and Sales. Jason has been involved with the Ronald MacDonald House since 2014 and has served as a Board Member for 2 years. Recently selected to the Executive Committee, he is passionate about the house’s future. 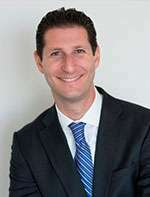 Jason is a graduate of Miami University with a degree in Business Administration, as well as an MBA from the University of Southern California. He lives in Summerlin with his wife Dana and his pup Izzie. Lee K. Barrett is a Las Vegas native, second generation real estate Broker and President/Owner of Barrett & Co., Inc. his family owned practice, which was established more than 55 years ago and Barrett Seminars, established 10 years ago. Having over 39 years of real estate experience, Lee is a practicing real estate agent in the Las Vegas market and continues to stay active keeping his finger on the pulse of the market. Lee was recently appointed as Nevada Real Estate Division Commissioner by Governor Sandoval. Lee has been very involved in his community. He was 2004 President of the Greater Las Vegas Association of REALTORS, Dean of the Nevada Association of REALTORS Leadership Program, President of the Nevada Easter Seals as well as President and Co-Founder of the Ronald McDonald House Charities® of Greater Las Vegas. As an Instructor with the Greater Las Vegas Association of REALTORS, Lee teaches with humor and insight into today’s complex real estate market. As a National Instructor with the Council of Residential Specialists (CRS), Council of Residential Brokers (CRB) and Real Estate Buyer’s Agent Council (REBAC) he teaches all around the country. Lee has always felt it is his duty to give back to his community whether through his Real Estate or Charitable involvement. 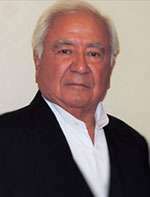 Adrian B. Bernal serves as Sr. Manager of Competitive Intelligence and Strategy for Cox Communication, Inc.’s cable serving the Las Vegas, Arizona and California markets. Adrian started with Cox San Diego in the year 2000 nearly 19 years ago. In his position, Adrian is responsible for gathering, analyzing and distributing information about competitors’ products, market conditions, emerging technology, and customers for business decision-making. He is responsible for developing innovative solutions from complex problems and provides actionable recommendations to assist Cox Communications to enable its services to grow while retaining customers. Adrian also ensures that Cox Communications’ more than 1,500 employees within the Southern Nevada footprint are armed with interactive tools to assist in accurately positioning Cox’s products against the competition. While his primary role is to support the West markets, Adrian is also a national resource for Cox Communications for competitive gigabit analysis and strategy. Over the last three years Adrian has served as the Co-Chairman of the Cox Charities Annual Golf Tournament, the company’s annual fundraising event that has benefitted Southern Nevada charities such as Candlelighters, Blind Connect, Boys and Girls Club of Southern Nevada, Communities in Schools, Ronald McDonald House Charities, and Shannon West Homeless Youth Shelter. 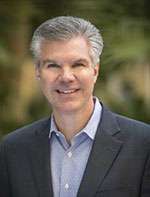 Prior to relocating to Las Vegas from San Diego, Adrian was responsible for Cox’s Hispanic marketing and event strategies in California which eventually lead to Cox’s national Hispanic marketing focus. His grass roots marketing program won him honors from the National Association for Multi-Ethnicity in Communication. Adrian studied media arts and multimedia design at Platt College in San Diego, and New York University. He lives in Las Vegas with his wife Elizabeth and their two Boston Terriers. In his spare time, Adrian can be found creating original artwork, listening to his vast collection of music, or trying to perfect his salsa in the kitchen. 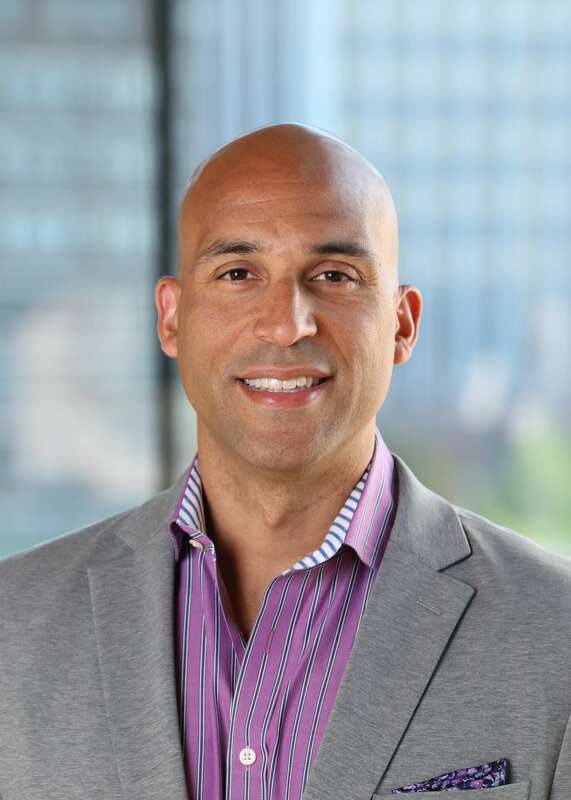 Michael Blackwell currently serves Medtronic as the Vice President of Sales for the Advanced Surgical Division within the Minimally Invasive Therapy Group. Michael is responsible for approximately 200 employees and $500 million in revenue. He has been with Medtronic for 13 years working across various businesses and has a total of 20 years of experience in the healthcare industry. Along with a strong commitment to patients and community, he is deeply involved with the development of others both professionally and personally. His brand, style, and impact aligns perfectly with Medtronic's core mission to Alleviate Pain, Restore Health, and Extend Life. He was born and raised in the midwest, Topeka, KS where most of his family still lives, but he has had the opportunity to live in 14 states and 2 countries. This is his 3rd time coming back to Las Vegas, so there is definteily something about Las Vegas that he loves! He has a passion for travel, adventure, and the unknown - he loves learning about different cultures and has so far travled to over 40 countries. He attended The American University located in Washington, D.C., and called it home for 10 years. He enjoys anything exercise and fitness related. Rick Fields is Senior Vice President of Casino Operations at Mandalay Bay. Prior to this position, Rick served as Vice President of Casino Operations and Food & Beverage at Primm Valley Casino Resorts, which at that time included Buffalo Bills, Primm Valley and Whiskey Pete's. He was also responsible for Player Development and Golf Operations. Before joining the team at Primm, Rick was Assistant Vice President of Casino Operations at the New York New York Hotel-Casino. He has also held various senior leadership roles as Vice President at the Aladdin, Station Casinos and Caesars Palace. Rick began his career in casino operations as a dealer at the original MGM Grand (Bally's) in 1979. Rick has served on the Executive Board of the Ronald Mc Donald House® of Las Vegas for over ten years. In his spare time Rick enjoys spending time with his family and golfing. Rick is a graduate of UNLV with a degree in Business Administration and majored in Human Resources. Roger Jones is a 20 year veteran of the secondary ticket market. 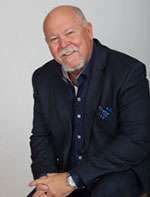 He currently serves as the Vice President, Chief Operations Officer, and Co-Owner of Alliance Tickets and VegasTickets.com and the President of the Colorado Ticket Brokers Association. Alliance Tickets and VegasTickets.com is a nationally recognized ticket brokerage. They have offices in Denver and Las Vegas, along with strong representation in Seattle and Mexico City. The company has been in business for over 29 years and has grown through merger and acquisition. Roger joined Alliance Tickets in October 1997 after a stellar 14-year management career with McDonald's Restaurants. Roger has led the growth of Alliance Tickets and VegasTickets.com. Under his 15-year stewardship, Alliance Tickets and VegasTickets.com has grown from 3 to 20 employees and company sales have increased over 700%. His operational expertise has guided the core of day-to-day operations throughout the steady growth of the company, including the identification of new markets, product acquisition, staff retention and incentives, mentoring program, client relationship initiatives, implementation of best business practices and social media. A retired US Navy Submarine Service veteran, Jerry currently overseas site operations for a 450 seat BPO call center supporting multiple health care clients. Jerry holds a Master’s Degree in Organizational Management, and and Bachelor’s Degree in Information Technology. 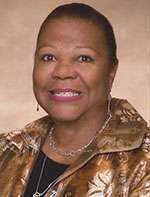 Debbie Mitchell is the Director of Operations for Capital One. Debbie is responsible for several parts of the Loss Mitigation organization within Card Customer Experience. She oversees the Loss Mitigation operation in Las Vegas, all supplier sites and has responsibility for the Collection Customer Resolution Team. 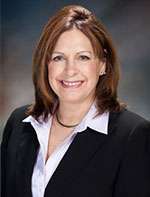 Prior to joining Capital One, Debbie held various roles at Microsoft, USAA and The Hartford insurance. Debbie has more than 25 years of experience in the customer service fields with a focus on financial services including banking and insurance. Debbie has a Bachelor of Science degree in Business Administration from Regis University and has completed an Executive Education course at Darden School of Business at the University of Virginia. Debbie and her husband moved to Las Vegas two years ago from the Seattle, WA area. Debbie has been involved with the Ronald McDonald House Charities® of Greater Las Vegas Gala committee for the past two years. She joined the Board of Trustees in 2017 and is co-chair for the Ronald McDonald House® Gala in 2017. Debbie has also been involved in community events in Las Vegas supporting Ronald McDonald House®, Junior Achievement, Goodie Two Shoes and Day of Caring. 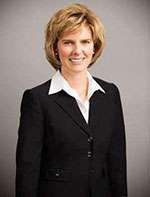 Tammy Peterson is an attorney and founding partner of the law firm Peterson Baker, PLLC. Focusing on commercial and complex litigation, Tammy represents individuals as well as large public and private corporations, and governmental entities. An experienced trial attorney, she is a Fellow with the American College of Trial Lawyers, and has been recognized in Chambers USA, Best Lawyers of America, Benchmark Litigation, and the Mountain States SuperLawyers. Prior to founding her firm, she was a shareholder at Brownstein Hyatt Farber Schreck, LLP, and a shareholder with Jones Vargas in Las Vegas. 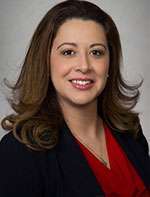 She began her career as a deputy district attorney for the Special Victims Unit of the Clark County District Attorney’s office, prosecuting cases of child abuse, child homicide, and sexual assault. Tammy holds a BA from UCLA in Economics / International Area Studies, and her law degree from the University of Arizona. A native Nevadan, Tammy is dedicated to serving her community, serving on the Board of Directors of the Better Business Bureau of Southern Nevada since 2002, and serving with the Junior League of Las Vegas since 1999, including service as its President in 2005-2006. Loraine Phelps is the Director of Marketing and Communications for EQUIINET. Loraine is responsible for establishing and executing marketing and communications strategies, plans, and tactics that drive corporate objectives and support brand proposition. Loraine has more than 20 years of experience in the sales and marketing fields, with an emphasis on start-up and high profile venture companies. 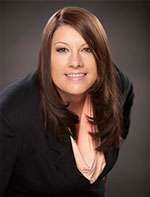 Loraine is also a graduate of the prestigious Las Vegas Metro Chamber of Commerce Leadership Las Vegas. Before joining the EQUIINET team, Loraine was a CAE at Tyco Integrated Security, where she focused on developing security technology solutions for commercial clients. Prior to her work at Tyco Integrated Security, Loraine was CEO and Founder of Solutions in Marketing, Inc. (SIM), a Las Vegas-based full service marketing solutions firm, specializing in brand development, expanding awareness, and strategic partnerships for new ventures and initiatives. Loraine's marketing career has spanned a variety of capacities from Sales to Management, focused on nearly every advertising medium, achieving an impressive track record of performance-based promotions. Loraine is deeply involved and committed to hands-on community service and currently serves on the Ronald McDonald House Charities® of Greater Las Vegas Board of Trustees. As Private Banking Manager, James Rensvold leads a team serving the financial needs of high income clients and helping them plan for the future. With more than 17 years of banking experience, he most recently specialized in helping healthcare professioanls as a Licensed Medical Banker. 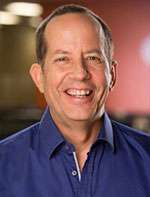 A native of Las Vegas, James holds a bachelor's degree in Business Administration from the University of Phoenix and a master's degree in business administration from the University of Nevada Las Vegas. 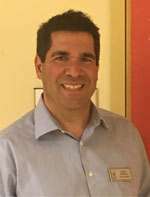 He has served on Clark High School's Academy of Finance (AOF) board of directors and was nationally recognized by the National Academy Foundation for his contributions to AOF. 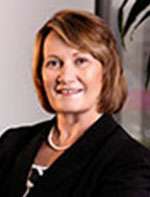 Joyce Smith is currently a Senior Vice President and Regional Manager with Bank of Nevada. With more than 30 years of experience in the financial services industry, Joyce prides herself on being committed to the success of her clients and the community. Joyce is actively involved in many civic and non-profit organizations, including the Board of Trustees for the Ronald McDonald House Charities® of Greater Las Vegas, where she currently serves on the Finance Committee. Joyce is the proud mother of three daughters and 5 grandchildren. Gus Tejeda has always had a passion for the hospitality industry. While in high school, Gus was employed as a convention set-up houseman at the Radisson South Hotel in Minneapolis. After completing his general education courses at a local community college, Tejeda decided to pursue his dream of attending a world-renowned hospitality program and transferred to University of Nevada Las Vegas. During his education at UNLV, Gus had several accomplishments including being selected as the outstanding junior and senior in Hotel Administration as well as being honored as the runner-up for the American Hotel Foundation’s Arthur Packard Memorial Scholarship which recognizes the nation’s top hospitality student. Upon graduation in 1989, Tejeda was recruited by Four Seasons Hotels and Resorts as an assistant executive housekeeper for their Santa Barbara property. In 1990, he returned to Las Vegas to pursue a Master of Science degree in Hotel Administration. Upon further reflection, Gus decided to postpone his education to gain further work experience and began employment at The Mirage as a public area shift manager. In 1991, Gus’ career path changed forever as he became an assistant convention services manager. Over the next five years, Tejeda held the positions of convention services manager and convention sales manager, the latter position he held until his promotion in 1996 to director of convention sales for Mirage Resorts soon to be constructed property, Bellagio. Six months prior to Bellagio’s opening, Gus was once again recruited by Four Seasons and accepted the position of director of sales at the Four Seasons Hotel Las Vegas. He was a part of the shortest pre-opening effort in the company’s history as well as the most successful first year of any Four Seasons at that time. After four years with Four Seasons, Gus returned to Bellagio as executive director of convention sales. Overseeing the convention sales and services departments, Tejeda led the team during the 928-room Spa Tower expansion period. In 2006, Gus accepted the role of vice president sales for Echelon. For two-and-a-half years he played an integral role in the design and development of The Meeting Center, which was Echelon’s 650,000 square-foot convention facility. Additionally, Gus managed the resort’s convention sales, services, leisure sales, and catering pre-opening efforts. After Echelon ceased construction in 2008 due to economic uncertainty, Tejeda was recruited by Kerzner International Resorts as vice president of group sales for their Atlantis, Paradise Island, Bahamas resort. Gus would spend the next five years directing the group sales and marketing efforts for one of the most iconic resorts in the world. In 2014, Gus was once again recruited by Four Seasons and returned to Las Vegas as the property’s director of marketing. 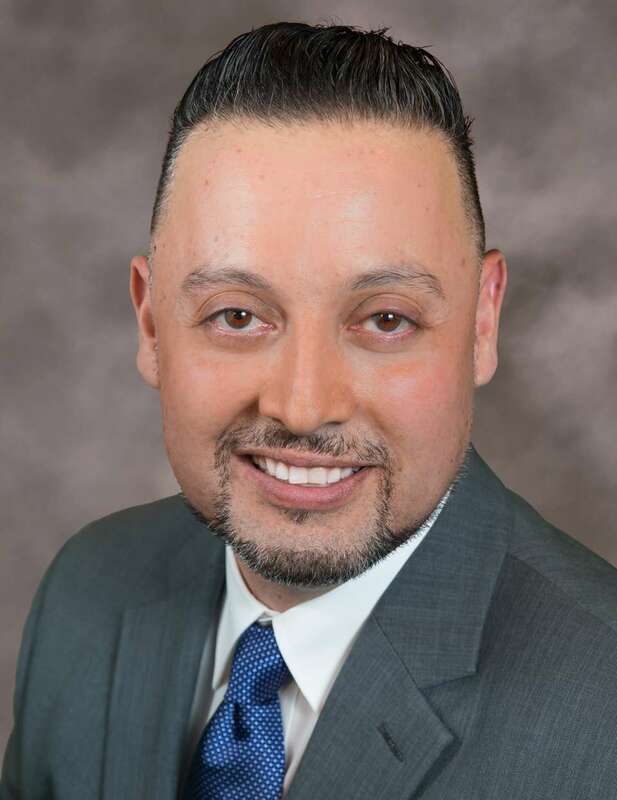 For the past two years, Tejeda has led the hotel’s sales and marketing efforts which include sales, catering, room reservations, and revenue management. Gus is a past board member of the Society of Incentive and Travel Executives International Foundation and co-chair of the Meeting Professionals International CSR Committee. 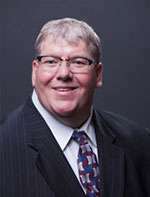 He is currently on the Advisory Board of the Las Vegas Chapter of Hotel Sales and Marketing Association International. Gus and his wife, Sara, have an eight-year-old daughter, Alex, and Gus has an nineteen-year-old son, Justin. 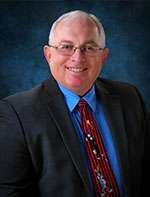 Jeff Wells is an Assistant County Manager for Clark County, NV. His responsibilities include the Department of Family Services and the Department of Juvenile Justice. His other direct reports include the Public Defender, Office of Appointed Counsel, the Coroner and several other entities. Prior to his appointment as Assistant County Manager, Jeff served as a Cabinet Officer in Colorado and was both Director of the Department of Labor and the Department of Personnel and Administration. Jeff is a lawyer by training and has a Juris Doctorate degree and a MBA from Florida State University, as well as a Bachelor's Degree in Mathematics from Duke University. Jeff has more than 30 years of experience in both law and government including being a partner in a private law practice, as well as serving several years as an administrative law judge. Jeff also served in the Colorado State Senate for 16 years and was elected by his peers as Senate Majority Leader for 12 years. Jeff serves on the following committees: Nevada Supreme Court's Indigent Defense Commission, Nevada Supreme Court's Juvenile Justice Reform Commission, the Court's School Disturbance Committee, and the Policy and Fiscal Affairs Committee for the departments of Juvenile Justice and Family Services. 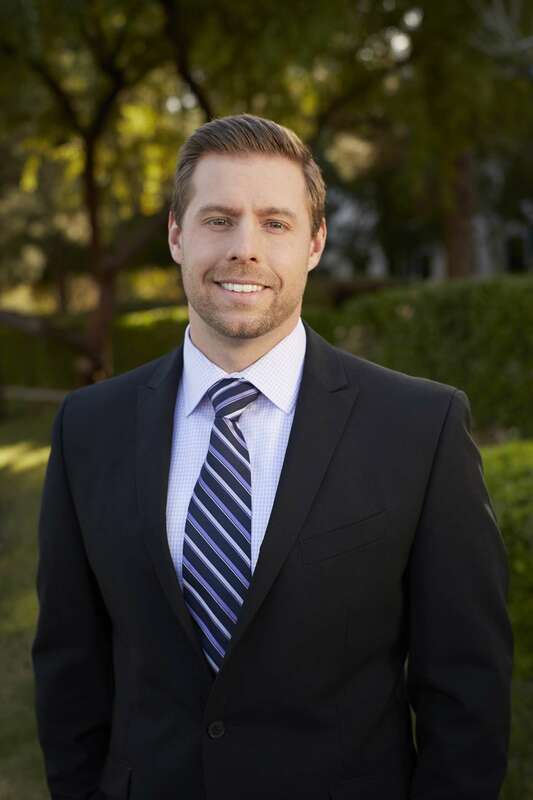 As a current member of the Board of Trustees for Ronald McDonald House Charities® of Greater Las Vegas, Jeff serves on the Growth and Capacity Building Committee.